This happens to me every year, but when I started shopping for Christmas presents it was like my shopping switch was flipped and I just continued on to shopping for presents for myself. This combined with several new posts by other bloggers about Sapphire In The Snow from OPI’s 2009 holiday collection resulted in me stalking eBay for this polish. I say it was bought for “too much”, but it wasn’t up to Chanel prices or anything. Or even Mad As A Hatter prices. I think it was $16 including shipping. Still more than it really should have been, but I’m happy with it. 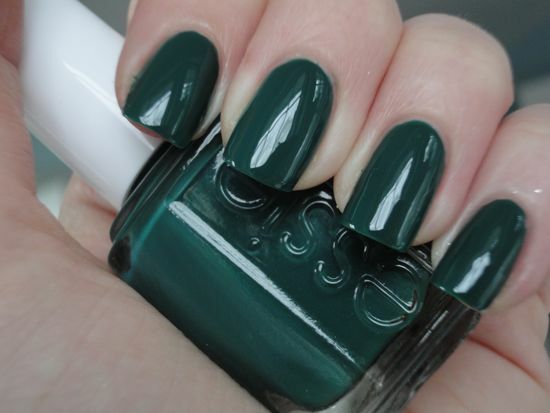 I’ve really liked the colors that I tried from the Essie Winter 2010 collection so far. They’re dark but still vivid, and perfect for this time of the year. I have swatches of Going Incognito, Smokin’ Hot and Hot Coco below, but I’m sort of thinking of picking up Masquerade Belle as well!